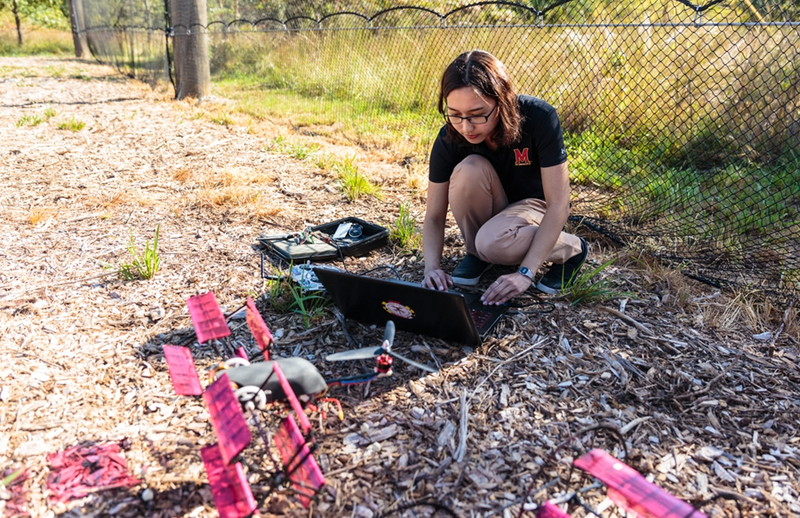 The Department of Aerospace Engineering offers interdisciplinary graduate programs led by expert faculty with connections to leading companies, labs, and agencies in the greater D.C. area and beyond. Students accepted into the Master of Science program can choose thesis or non-thesis tracks. Those who do not pursue the thesis option are required to complete a scholarly paper and a comprehensive exam. The Clark School's Office of Advanced Engineering Education offers several Master of Engineering programs focused on aerospace-related issues, and prepares graduates for hte industry in areas of the design, development, and testing of aircraft, spacecraft, and missiles and supervise their manufacture. The focus of aerospace engineering's doctoral program is a research dissertation. Students must complete a minimum of 36 credits of coursework beyond the bachelor's degree and a minimum of 12 semester hours of dissertation credits.